Can anyone identify the manufacturer or what year these fit? 22 1/4" diameter, 4" total width. 2 3/4" between beads. Sorry, they are Model A. I'm starting to stutter. 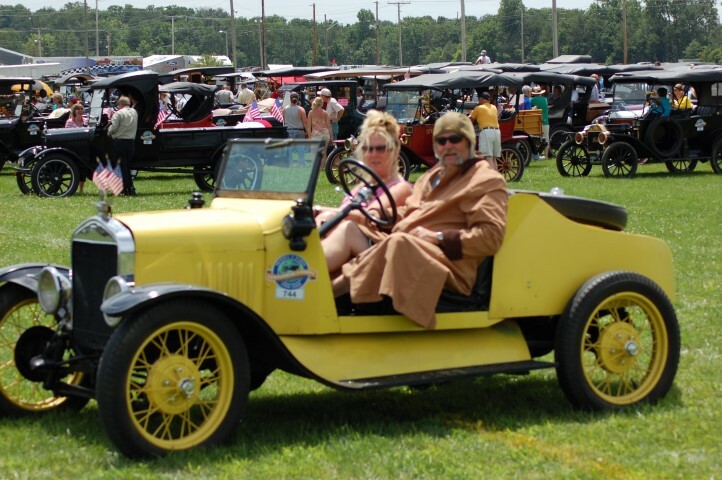 So would they be considered a 21" wheel for a 1928 - 29 model a ford? The rim diameter where the tire seats would be 21" on the 21" A wheels & 19" on '30-'31 A wheels. Look to me like '30 - '31 Model A Ford. Roger - Sorry,...missed your post. 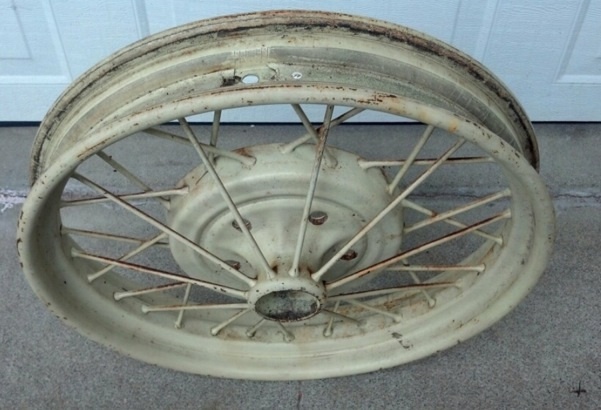 Yes,....they look like '30 - '31 Model A, which would be a 19" wheel for 5:00 x 19" tires. looks like the 21's from a 28-29 Model A like on this T. Measure where the bead of the tire would go. 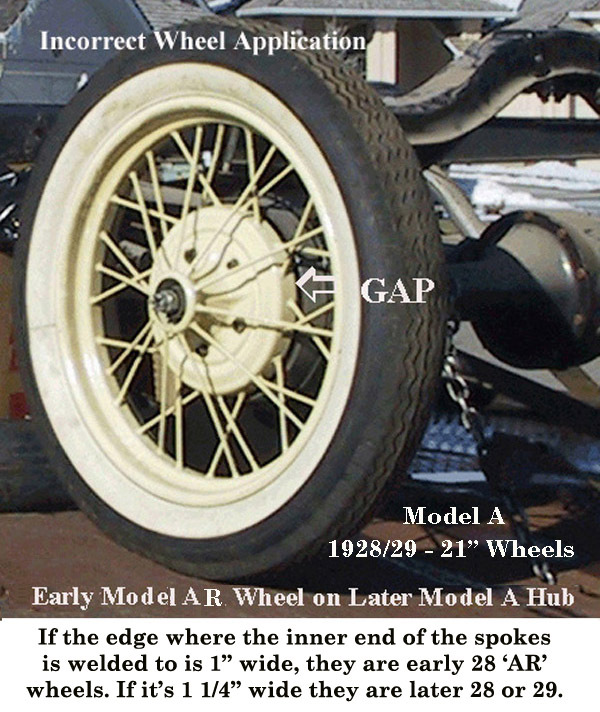 The A 19's for 30-31 had a significantly bigger hubcap hole. I would have to say 28-29 because of the smaller hub cap. 30-31 has the larger hub cap, maybe twice as large as the 28-29 hubcap. See page 92-93 in the Snyder catalog. What do I know? I don't pay much attention to those modern cars. in mind there is also an early 28 �AR� version as well. 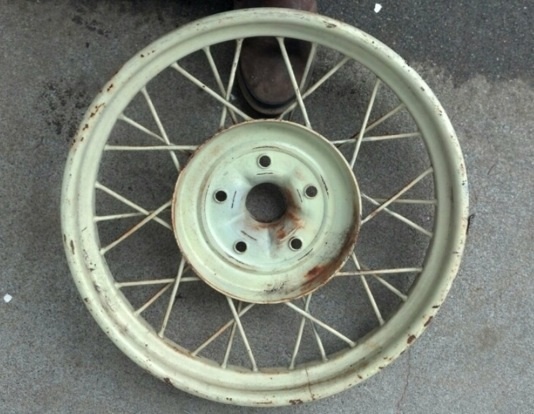 The 19" A wheels do not have a rolled round rim; they look like a modern wheel at the rim. 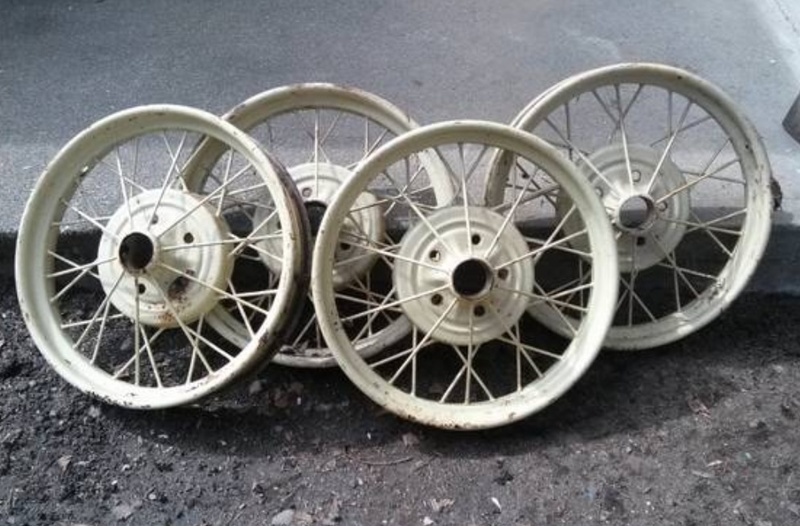 These are 21 inch, '28/'29, A wheels. Not AR. Looks like they are worth about $50 each on ebay. They are for sale in Lacey, WA on craigslist for $80 for 4. I am not associated with seller. Why are deals like the always on the other coast?? ?